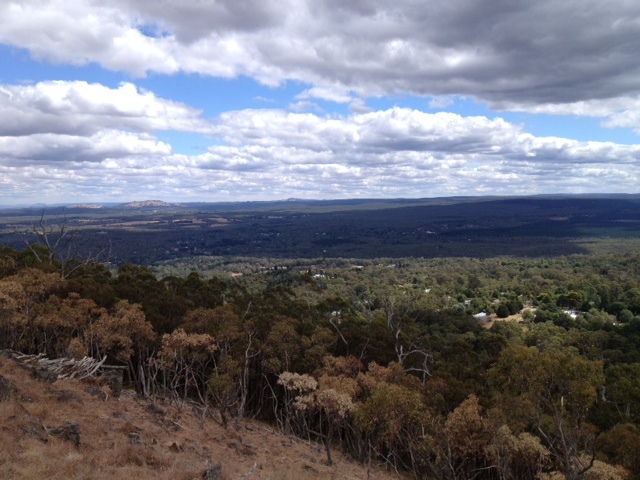 There’s been so much happening this week that I haven’t yet shared my latest training adventures from Mt Macedon on the weekend. This was a milestone for Katie and Amy as it was the longest hike they’d ever attempted in one day. 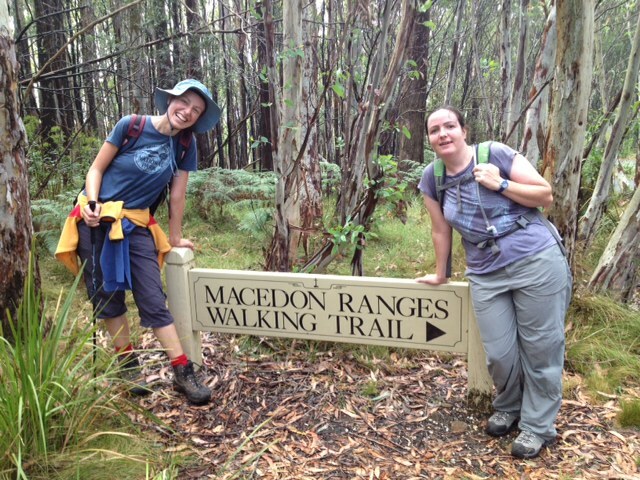 Amy and Katie after 1.5 hours walking to the top of Mt Macedon. The hike starts from Old Scout Campsite and heads straight up the mountain for around 3km. I was thankful of my new Black Diamond hiking poles which gave me a little extra push on the uphill. One of the many random thoughts that entered my mind during the climb was regarding coffee, and when I should start weening myself off caffine. I figure it will take a week for the withdrawal headaches to subside, and gladly reconciled with myself that the weening would not have to take place until I land in Vancouver. With my head on the subject of coffee, I was drawn to the Top of the Range Café when we reached the end of the climb. I had the intention of stocking up on a few more carbs, but instead treated myself to a skinny cap which seemed like an absurd thing to be doing in the middle of the hike. Nevertheless it was divine and I would do it again gladly! I knew the trail pretty well having completed the hike at least three times previously during my Kilimanjaro training. In some ways it’s good to know where you’re going, in another way you know all the steep parts coming up and all the sections you’re not looking forward to. Great views but the start of a VERY steep descent. The weather was perfect, sunny but cool, and despite the usual stops for water, toilet breaks, lunch, general nature observations and the like, we made very good time. 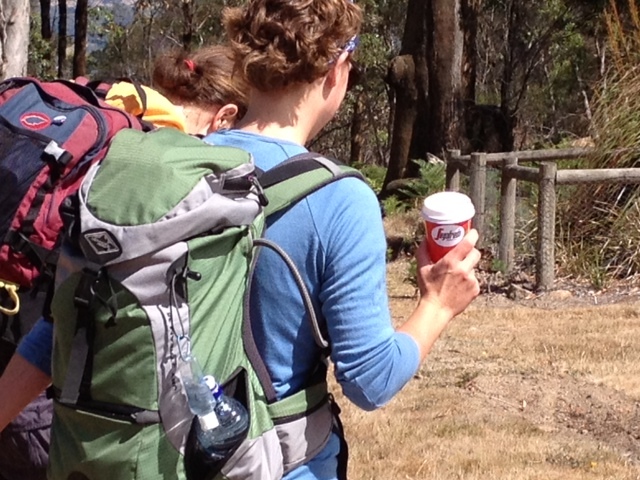 We even stopped to chat to a couple of ladies who were training for Everest Base Camp. I had my Runkeeper tracking our distance and timing and at the end of the trail determined we’d walked approximately 20kms in 8 hours including all of our breaks. Not too shabby at all! ← Pack your bags! Your trip is booked.